A lovely, spacious, top floor duplex. Our family of four stayed for a week’s skiing in half term. Skiing is just about walkable (it’s over 1KM) but there is always plenty of parking at the ski lift if you drive. If you do walk there are lockers available for hire at bottom of Telecabine so you don’t have to walk in ski boots. Undercroft parking is included but beware, the allocated space is very difficult to use due to the number and proximity of concrete pillars in the car park. There is plenty parking outside on the street too. WiFi was great - we could stream Winter Olympics! The biggest issue we had, though, was regular interruptions to the water supply. Cold and hot would stop working for up to half an hour at a time during busy periods. We did contact the owner about it but were told it was a resort wide problem rather than the apartment or building. It was annoying, frustrating at times but we were able to manage it so it didn’t affect our holiday too much. Key collection and drop off was very smooth, the people that showed us round were very friendly and the apartment was clean and (very) warm. 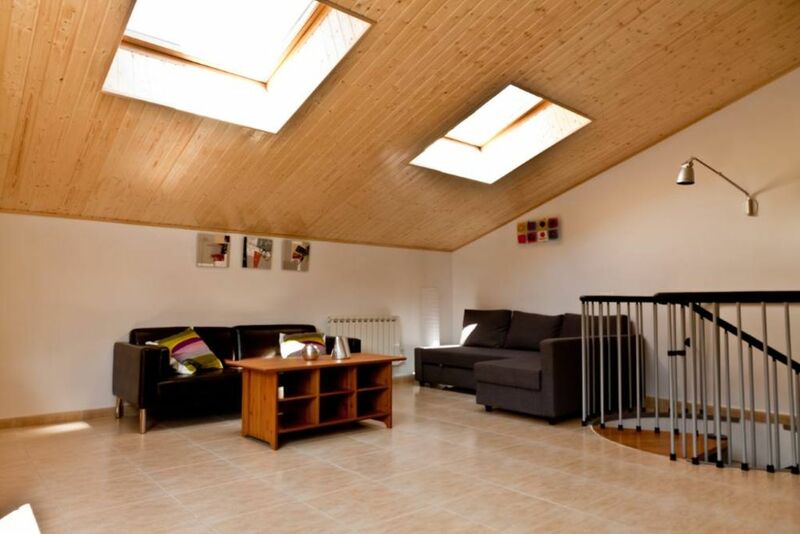 "Nice apartment not far from the lift (5 minutes by car) with the view to the slope. Quiet place, very good for the rest after skiing. All required things we found in the apartment. Good hospitality and help in any request." La localización del apartamento es ideal para esquiar, la vivienda es amplia y cómoda. La conexion wifi es muy buena también. Volveremos!! Un apartamento muy agradable y bien cuidado. Todo como indicaba en el anuncio. Se agradece que al llegar ya estuviera la calefacción dada. Los únicos "peros" la plaza de parking un poco justa para entra y poca señal de wifi. Todo lo demás muy bien. Hemos tomado nota de su queja sobre el internet comunitario y hemos contratado un internet particular para que no vuelvan a haber problemas de linea. "appartement agréable pour 4 personnes. impossible de garer notre renault espace dans le parking, seul point faible. il faut prendre sa voiture pour aller sur les pistes mais tous les appartements de el tarter sont comme celà! les propriétaires sont sympathiques très disponibles et nous ont bien soutenus quand nous avons eu des soucis de voiture , encore merci nous reviendrons!" (Text automatically translated) Main Road, opposite the ski lifts sky Station ST. Pere del Tarter.